This weekend marks the first anniversary of the Fukushima nuclear disaster. Our thoughts and prayers will be with the hundreds of thousands of Japanese still living in contaminated areas. There are anniversary actions across the U.S. and entire world this weekend. You can find a list of many of them on the NIRS Actions page. Don’t forget to click the link you’ll see there for additional global actions to get a sense of the incredible number and variety of events going on all over the world! At the river (Lady Bird Lake) immediately across from the front of the Austin City Hall (301 W. 2nd St.) just West of 1st Street. Speakers will include Chiaki Kasahara and Ivan Stout, who lived in Japan at the time of the nuclear disaster and had to leave their home, family and friends in order to protect their health and that of their young son. 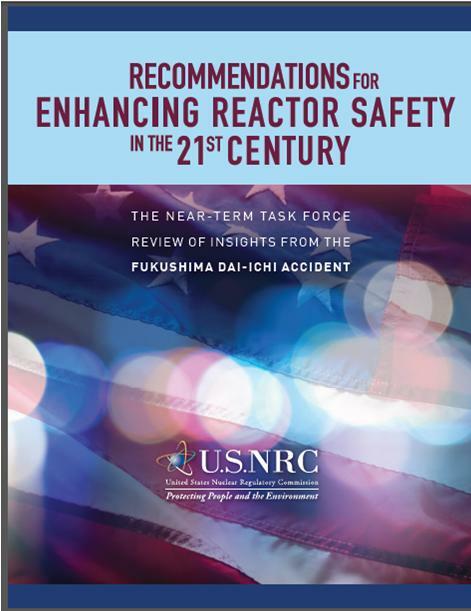 The Nuclear Regulatory Commission’s Japan Task Force has proposed improvements in areas ranging from loss of power to earthquakes, flooding, spent fuel pools, venting and preparedness, and said a “patchwork of regulatory requirements” developed “piece-by-piece over the decades” should be replaced with a “logical, systematic and coherent regulatory framework” to further bolster reactor safety in the United States. The report has been given to the five members of the Nuclear Regulatory Commission, who are responsible for making decisions regarding the Task Force’s recommendations. While declaring that “a sequence of events like the Fukushima accident is unlikely to occur in the United States” and that plants can be operated safely, the Task Force also recognized that “an accident involving core damage and uncontrolled release of radioactivity to the environment, even one without significant health consequences, is inherently unacceptable and proposed a comprehensive set of 12 recommendations to increase safety and redefine what level of protection of public health is regarded as adequate. It also recommended additional study of some issues. The recommendations looked at ensuring protection, enhancing accident mitigation, strengthening emergency preparedness and improving the efficiency of NRC programs. The report noted that the current NRC approach to regulation includes requirements for protection and responses for events that the facilities were originally designed to stand up to, such as earthquakes of the largest magnitude, or the highest flood level, or the strongest hurricane that had been experienced in the area at the time the permit was approved. These are referred to as “design-basis” events. There are also modest requirements for some “beyond-design-basis” events as well as voluntary initiatives by individual plant operators to address severe accident issues that are part of the NRC’s current framework for protection against what happened at Chernobyl, Three Mile Island or Fukushima. But as noted by the task force, the current approach is piecemeal. Reviewing vent designs and identifying, as part of the longer term review, insights about hydrogen control and mitigation inside containment or in other buildings. We now wait to see if and how the NRC will incorporate these recommendations into their licensing and regulatory authority over the U.S.’s nuclear fleet. It is doubtful that this will slow the rush to relicense that is occurring around the country as plants near the end of their planned life. Click here to read the full 79-page report. Exelon’s Dresden Nuclear Power Plant located in Morris, Ill., roughly 60 miles southwest of Chicago declared an alert at 10:16 a.m. CT today after a chemical leak restricted access to a vital area that houses plant cooling water pumps. The leaking chemical is sodium hypochlorite, which is similar to bleach, and is routinely used in plant operations to treat water. NRC says there is currently no impact to the public health and safety and the environment. It appears that the fate for nuclear power in Japan following the Fukushima Daiichi disaster, could be decided by a local governor of an obscure prefecture of about 850,000 residents on the southernmost main island of Kyushu. Governor Yasushi Furukawa of Saga Prefecture, must decide in coming days whether to support a request by Prime Minister Naoto Kan to restart two reactors at a local nuclear plant that have been shut down since last winter for regular maintenance. If Governor Furukawa decides no, and other governors follow his lead, every nuclear reactor in Japan could end up idled in less than a year, turning Japan into a non-nuclear country faster than Germany. Japan’s reactors are legally required to shut down every 13 months for routine maintenance. Thirty-five of the nation’s 54 reactors are now offline, some because of damage from the March 11 earthquake and tsunami, but most because of the maintenance requirement. Unless some of them are turned back on, the last reactor in Japan will be shut down by next April. Currently nuclear reactors provide the nation with almost a third of its electricity. Turning the reactors back on requires the central government’s approval, which has not been granted since the Fukushima accident. In the public backlash against nuclear power that has followed the disaster, the government is asking local political leaders to sign off on the restarts as well. Mr. Furukawa is the first governor who is being called upon to make a decision. This has turned him into a reluctant leader of sorts on this nation’s nuclear future, as his decision will be closely watched by other local leaders, most of whom are on the fence about restarting reactors as they weigh issues of public anxieties about safety versus the threat of electricity shortages. Recent Japanese opinion polls show an overwhelming majority — 82 percent in a survey conducted last month for Tokyo Shimbun — support getting rid of the nation’s reactors, but do not favor an immediate halt, prefering a gradual phasing out of nuclear power as alternatives are found. Japan has a long history with nuclear power, and is the world’s principle manufacturer of some nuclear reactor components. A pull back of their commitment to nuclear power could have a resounding affect on the future of nuclear power throughout the world, including those countries – the U.S., India, and Poland – who are still promoting the expansion of nuclear power. The Saga Prefecture governor should make a decision in the next couple of weeks and we’ll update this blog at that time. A new Ipsos/Reuters poll released on June 22nd reveal that global support for nuclear power has plummetted in the wake of the Fukushima disaster. A survey of over 19,000 people in 24 countries showed that three quarters of people now think nuclear power will soon be obsolete. Only three countries still show support for nuclear power: the U.S., India and Poland. Recent investigative reporting shows that the relative safety of nuclear power in the U.S. is tenuous, despite what some politicians have claimed. A big problem is that the Nuclear Regulatory Commission (NRC) has been working with the nuclear power industry to keep our country’s reactors operating within safety standards, but they’ve been doing it by either weakening those standards, or not enforcing them at all. A year-long investigation by the Associated Press (AP) revealed that the NRC has extended licenses for dozens of aging U.S. nuclear plants despite their having multiple problems, like rusted pipes, broken seals, failed cables and leaking valves. When such problems are found, the NRC will weaken the standards to help the plants meet them instead of ordering them to be repaired to meet current standards. The nuclear industry argues that the standards they are violating are “unnecessarily conservative,” so the NRC simply loosens the standards. Just last year, the NRC weakened the safety margin for acceptable radiation damage to nuclear reactor vessels — for the second time. Through public record requests to the NRC, the AP obtained photographs of badly rusted valves, holes eaten into the tops of reactor vessels, severe rust in pipes carrying essential water supplies, peeling walls, actively leaking water pipes and other problems found among the nation’s fleet of aging nuclear reactors. 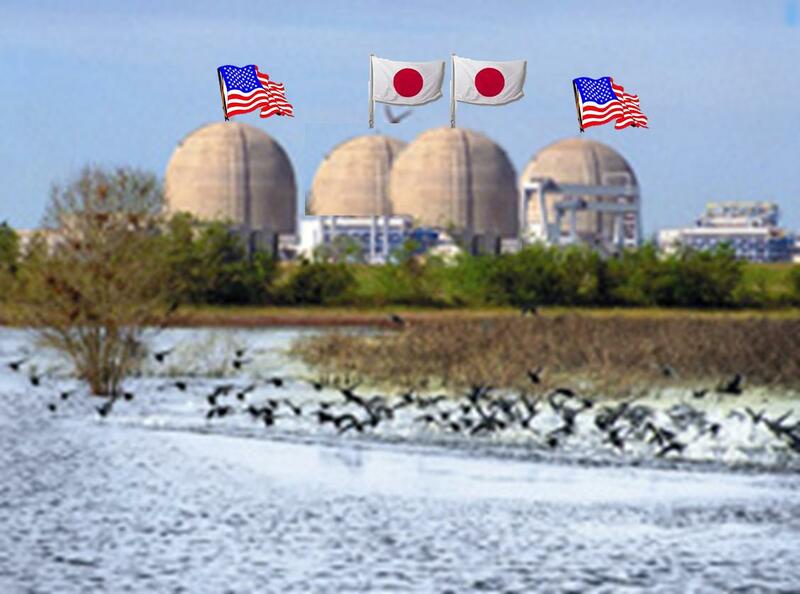 Fukushima has been a wake up call about the dangers of nuclear power, and some countries are heeding the information. But it seems the U.S. is lagging behind when it comes to this issue. Light-to-absent coverage of TEPCO’s struggles to bring Fukushima under control, legislators who insist on acting favorably towards the nuclear power industry despite the deteriorated state of our current reactor fleet and an ineffective Nuclear Regulatory Commission have all contributed to a bad combination of a dangerous situation and a complacent American public on this issue. 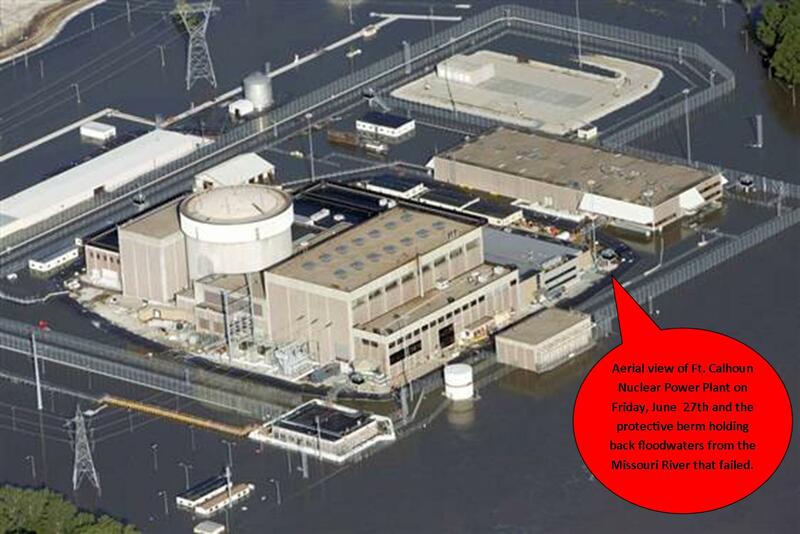 This combination of lax regulations and questionable maintenance at US nuclear facilities is especially concerning with the flooding that two Nebraska nuclear plants are now facing from the swollen Missiouri River. 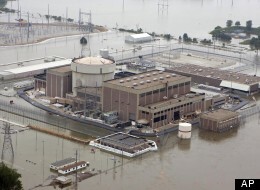 Here in Texas, the first hearing to determine what issues would be addressed in the Sustaninable Energy and Economic Development (SEED) Coalition’s intervention in the re-licensing application of the South Texas Nuclear plant in Matagorda County happened Monday. There are indications that the NRC is being more mindful that they appear more concerned with safety issues in the relicensing process, but we will see whether this is window dressing or if the agency is going to apply some lessons learned from Fukushima to our country’s relicensing process as this application moves forward. According to the Australian Broadcasting Corporation, Japanese authorities are now admitting the crisis at the Fukushima nuclear plant in March may have been worse than a core meltdown. In an official report that will go to the UN’s nuclear watchdog, the International Atomic Energy Agency (IAEA) set up in 1957, Japan now says nuclear fuel in three reactors possibly melted through several pressure vessels and into the earth below. This type of event, called a melt-through, is the worst outcome in a nuclear accident. GOSHI HOSONO, SPECIAL ADVISOR TO JAPANESE PM (Translation): At present there is damage to the bottom of the reactor container, we call this ‘core melting’ in English. Part of the nuclear fuel has fallen onto the dry earth floor and it’s possible that it’s still lodged there. TETSURO FUKUYAMA, GOVERNMENT SPOKESMAN (Translation): Hot spots were found, meaning there were certain spots with very high readings of radiation. According to atomic experts, this is about as serious as it gets in a nuclear disaster. Dangerous levels of radioactive iodine and cesium have already contaminated the sea, the soil, groundwater, and the air. This week plutonium was detected for the first time outside the stricken plant, and Strontium-90, known as a bone seeker because it can cause bone cancer and leukemia, has now been found as far away as 37 miles from the facility. In a draft report to the IAEA, Japan admitted that it wasn’t prepared for the Fukushima meltdown. Further, it also acknowledged that its nuclear regulator was run by a ministry, which has been the chief promoter of nuclear energy for decades (sound like another nuclear regulatory agency that we know closer to home?). In an NRC memo issued on Thursday – Subject: NRC MONITORED ALERT, FLOODING (and a FIRE!!!!) AT FORT CALHOUN NUCLEAR STATION (the portion in red are mine, the rest is the NRC’s memo). The U.S. Nuclear Regulatory Commission Tuesday monitored conditions at the Fort Calhoun Station, located 19 miles north of Omaha, Neb. The plant, operated by Omaha Public Power District (OPPD), declared an Alert at 9:40 a.m. CDT. The Alert was declared due to an indication of fire in the west switchgear room at 9:30 a.m. Automated fire suppression systems activated as expected and the fire was confirmed out at 10:20 a.m. OPPD exited the alert at 1:15 p.m. An “Alert” is the second lowest of four emergency classes. OPPD briefly activated its Emergency Operations Center (EOC) and the Joint Information Center (JIC). For the duration of the event the NRC monitored developments from its incident response center at its Region IV office in Arlington, Texas, and received updates from the onsite NRC Inspectors. OPPD notified the states of Nebraska and Iowa. There was no danger to the public of a radiation release because the plant has been shut down since early April for a refueling outage and remains in that condition (much like the Fukushima Dai-ichi units 4, 5, and 6). Although the plant briefly lost its normal ability to cool the spent fuel pool, temperatures in the pool remained at safe levels and the plant recovered pool cooling without the need for any of the plant’s multiple backup systems. The licensee previously entered a Notice of Unusual Event due to the rising level of the Missouri River and some onsite flooding on June 6. Since that time, NRC has provided round the clock staffing with its Resident Inspectors and they will continue to remain on site and monitor the situation during the flood conditions. Just last month, two US nuclear plants went into emergency shut down due to outside power loss and a fire in a switchyard adjacent to the plant when tornados tore through the Southeast. Neither of these two plants were hit directly by a tornado, which would have made containment of the situation much more difficult. But, scarely.one was discovered, just three months prior to the tornados, to have had issues for as long as nine months with their backup coolant system, which would have made the incident following the tornado much more dire. The disaster in Japan has forced numerous countries to re-evaluate the safety of their nuclear fleet of power plants and their ability to respond to safety incidents compounded by natural disasters that make containment more difficult. Switzerland and Germany have made the decision to pursue other renewable energy sources and to phase out their nuclear units as their licenses come to their end. a hurricane season that has just come upon us and is predicted to be an above average Atlantic hurricane season according to the most recent forecasts by the National Oceanic and Atmospheric Administration (NOAA) and the Colorado State University Tropical Meteorology Project (CSUTMP). ACT NOW TO BLOCK “CEDA”! The Senate Energy Committee is scheduled to consider today–May 26, 2011–a bill establishing a new “clean energy” bank called the Clean Energy Development Administration (CEDA). Unfortunately, this “clean energy” bank is anything but a source for funding genuinely clean energy. In fact, both new nuclear reactors and certain coal projects would be eligible for unlimited taxpayer backed loans if this bank were to be realized. Take action now: tell your Senators to reject CEDA unless nuclear power and coal are removed. Please act quickly and tell your Senators–especially if they are on the Energy Committee (members listed below)–to reject CEDA as currently written. There is nothing “clean” about nuclear power and they have a 50% default rate on financing for new plants. A glance at any photo of Fukushima should make it clear that “clean” can no longer be considered a way to describe nuclear power. Unless nuclear power and dirty coal are taken out of the CEDA program, it should be defeated. If one of your Senators is on the Energy Committee (members listed below), please also call him/her today and urge him/her to reject CEDA unless nuclear and coal are removed from the program. Senate switchboard: 202-224-3121.